From Spiked: Under Obama No Child Left Unmonitored. Don’t like No Child Left Behind? Notice that Federal intervention in education is producing less than admirable results? Question the validity of subjecting education to the dictates of State and Big Capital? The solution of the statist-left: make it bigger! Upsize! Increase funding! Greater federal control! If the Federalization of all education isn’t working, it needs to be intensified. We must increase the devotion of all levels of education to the needs of capital, er, the business sector. We must make sure poor parents are doing their bit to raise good wards for State and Capital- and remember, there’s no way Federal policy could ever be racist or classist- remember, we did that whole making history thing, right? This is just one small aspect of the sort of leftist imperialism (external and internal) that in insiduousness and long-term viability is probably more destructive and dangerous than rightist sorts. Rightist statism has lately tended to manifest itself in spectacular and very public outbursts of violence and programs of mass control, though in the past couple of years even the Bush administration has toned down much of its action (probably out of sheer necessity). The left, on the other hand, is rather more clever about things in that much of its systems of violence and control are more hidden. Education is a useful example; abortion is another example of systematic violence that lies beneath the surface (literally in some respects) of society and even political discourse: “choice,” “reproductive health,” and so on are used to avoid the stark implications of reality. Likewise, we call our wars “missions to spread democracy,” “humanitarian interventions,” disguising the actual horrific nature of war. Both sides also insiduously exploit religion to advance their causes, whether it’s the latest war as a crusade from God or abortion as a “spiritual sacrament.” The left tends to be in denial about its religious aspect, since part of its campaign against the right is “separation of church and state,” by which of course nothing more is meant that separation of rightist religion from the state; statist-leftist religion, whether in the guises of protected Christianities, bourgouis environmentalism, or the whole smorgasboard of liberal pieties used to advance the agenda of the day- none of these forms of religiosity are ever envisioned as being separated from the State. Instead, religion- and the same attitude exists on the statist-right- is perfectly acceptable so long as it remains in the service of a greater mission, that of the statist-left. This is ultimately my problem also of course and I fall under the label of hypocrite too: I like my religion, just let’s not take this too seriously, eh? Sure, some of that exoticly-flavoured Orthodoxy can show through here and there, since it’s possibly advantageous out here in the academy. But let too much through, and you’re courting danger. That’s the message that is continually broadcast, and my internalization of it is hardly only from external forces- in tandem with my own passions, the desire to keep my “religion” nicely compartmentalized is terribly strong. Only the radical action of God can really ever break me, or anyone else, left or right or sideways, out of it. 1. The icon embraces the tension of the one and the many, of the universal and the particular. Each icon presents the mystery of the person as a particular mystery, the mystery of the named person who participates in the universal- yet particularly received- energies of God, is divinized. Divinization does not reduce the person into indistinguishableness; rather, it “expands” the person into her true self, her true realization in God. 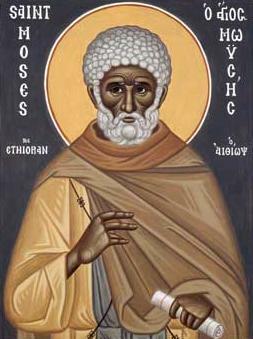 So the icon is not simply naturalism, but instead leans towards the mystery of realized personhood, the stylization of the icon indicating that this person has entered into this reality. When I view an icon I see a manifestation of what a true person can be, I am at once connected to that person and I am encouraged to live out my personhood in the energies of God. 2. Again, icons destabilize our language, by advocating the breaking in of God upon the world, of elevating the mystery of personhood in a manner we cannot speak. Early apologetics for icons emphasized their utility in educating the illiterate, yet at the same time they speak to the highly educated: the illiterate and the scholar meet on this un-worded ground of the Word, where the image cuts through language ultimately and moves the viewer/venerator to a different plane of knowledge, of participation. Kissing the icon is an action, is a movement beyond spoken language. It is an act of faith that expresses itself beyond what our words- as important as they are- are capable of. The image seen, the prayer uttered, the kiss done: multiple levels of the material and spiritual are involved, all becoming one transcendent act of prayer and veneration, reclaiming the whole for God, while pushing the limits of what can be said and what is expected of the world. You might want to give a listen to this guy, who sounds like I would imagine a younger Wendell Berry if he played indie folk: Chris Dorman. Also, while not agrarianish exactly, but still producers of the sort of music that befits a genuine culture of life, one of my perennially favorite bands, Anathallo, has a new album out next week that will no doubt be really wonderful and everyone should give a listen to. And while I’m on the subject of music, this album, new(ish) to me, is one of the most beautiful albums of any sort I have listened to in some time. It’s a recording of a collaboration, in Terhan, between Hossein Alizadeh of Iran and Djivan Gasparyan of Armenia, and both musicians are world-class masters. 1. (With props to Ft. Stephen who initiated this idea for me): The Liturgy is pretty jarring. There are all sorts of things happening at once, there is an abundance of strange language (things we do not hear in our day-to-day lives), strange concepts, people standing about at odd angles, children making noise and running about, plus the abundance of icons that attract the eye and carry their own particular discourse (but more on that later God willing). We do not immediately fit into this construction, into all this language about the Kingdom of the Father and of the Son and of the Holy Spirit, of forgiveness, of angels and archangels: the disjunction of imagery and sounds, the challenges and declarations (the mystery of the Holy Trinity is continually set before us). The “discourse” of the Liturgy clashes with our normal discourses, with our normal way of speaking, thinking, and acting in the world. We- our bodies, our words, our senses- are raised into Heaven, are moved onto a different level of discourse and being. This movement has the potential- if we embrace it and move with/within it, if you will- of opening up our “everyday” discourses, our everyday existence, to the radical new possibilities that are found within the discourse of the Liturgy. Of course, there is a danger that we allow the strangeness and radicalness of the Liturgy to become “normalized” so that we no longer notice it: instead of it challenging us and opening us and our ways of speaking/living up to God, we domesticate the Liturgy (or we simply drift off into our own mental world and act through the Liturgy without noticing it…), we domesticate the whole divine action and discourse that we are confronted with. Rather, the “otherness” of the Liturgy should break into our language, into our ways of thinking in/about the world. For example, the language of loving one’s enemies, of forgiveness, is continually brought before us, clashing with our normal (unfortunately) discourse, in which forgiveness and love of the enemy is a foreign concept, an unsettling one, along with all those weird troparion abour martyrs and ascetics. What are we to do with this? If we simply “domesticate” it, if we do not accept it as a radical intrusion and opening up of our speech and our very lives, then that language, the Liturgy itself, becomes just an antiquarian artefact. 2. My web browser opens to the OCA daily calender of saints and festivals. Today’s saints struck me as particularly demonstrating the radical nature of not just the Liturgy, but of the whole of the faith. Today St. John the Merciful is commemorated: a saint who does violence to our conceptions of what charity should look like; his actions break through our bourgeouis sentiments and ethics and overturns them. How can you possibly keep giving money to a beggar you know is tricking you? My experience of St. John is similar to that which I experienced the first time I read Yoder’s Politics of Jesus: I hate what you’re saying because I know it is true and truly Christological, and it clashes so much with my assumptions, with the discourses I have assimilated and that keep me comfortable. Yet I cannot reject what he is saying (acting/doing): I see Christ in his actions, I hear the- radical and “breaking-in”- voice of Christ, reconfigured and redeployed in the saint. We need saints to speak into our lives, into our discourses, because we are always taking the Gospel and “normalizing” it, domesticating it, overlaying the words with our own comfortable assumptions. Saints like St. John overthrow this domestication. Today the Fool-for-Christ St. John of Rostov (the Hairy!) is also commemorated. In the holy fool we find one of the supreme examples of God breaking into our “normalness” and disrupting pretty much every element of our discourse and self-image. What do you do with holy foolishness? What can we possibly do with it? By honouring the holy fool as a saint, the Church canonizes- declares to be canonical, a rule against which to measure our lives- his “crazy” life, his foolishness. Added up, the variety of “canons” declares an incredible plurality of possibilities of being-in-the-world-in-Christ, and this plurality clashes with our sensibilities of what is “respectable” and “allowable.” Again, our attempts at coopting Christ into our non-Christological modes of living are confronted and challenged. Our language of “normality,” of “sanity,” is shown to be inadequate, to be in need of a radical opening to the reality of the life of Christ. For in fact our “sanity” is so often revealed to be true craziness, to be even satanic “normality.” Our language is shown up, so to speak, for its disconnection to reality, to the inner truth of the world. The holy fool asks: who’s really crazy? Your hair is nicely trimmed and your discourse follows the expected parameters, corresponds- so you think!- to what is “real.” Yet- the holy fool in his humility (humility before the true Word) sees the world as it is, and his language is ultimately “truer” than yours. 3. Hopefully the reason I included the nebulous word “postmodernism” in the title of this post is by now clear. Orthodoxy reveals itself to have long been “postmodern” in the sense that it has always sought to confront and open up received discourse. Orthodoxy- in Liturgy, prayer, saints, icons, etc- destabilizes our language, destabilizes our view of ourselves and the world, and inserts the supra-reality of Christ: He who comes with a sword, a sword that cuts and divides and in so doing allows us to move beyond what are so often false constructions. And whereas structuralism and poststructuralism tend to move the reader towards a point of no reality, of nothing beyond constructions and their deconstruction, Christ posits reality and life beyond the ruins of our inadequate and falsifying language. Yes, our words fail (witness apothetic theology). Yes, our language is a mode of power, of coercion and falsification: but it is possible to break through that, into the true Word “spoken in silence” Who breaks up and re-assembles our discourse in the light of His Gospel and saints and in prayer and so on. Where deconstructionism proper can lead to nihilism or irrationalism, the “deconstructing” of Christ leads into the Resurrected Life, from the “death” of language (and author and subject!) into the true life of the Word.